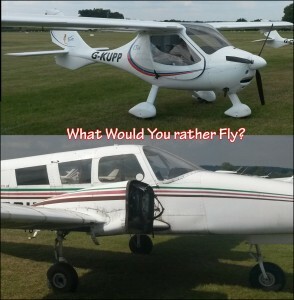 After a morning of instruction on G-CDJF, we decided to take the fleet over to Headcorn for afternoon tea. 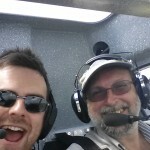 With Tom flying the new CTSW and Trevor piloting the CT2K, we took off in formation and continued eastbound to Kent. 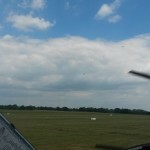 With the usual parachuting and aviation-friendly atmosphere in Headcorn, we all enjoyed some tea and a quick bite to eat before flying back to Redhill. 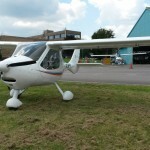 With the CTs’ ridiculously fast cruising speed, we made Headcorn and back in under an hour’s flight time – A very inexpensive way to fly around the Surrey, Kent and Sussex countryside and grab some lunch. If you’re not 100% confident flying the CT, we recommend doing what Tom did today. Come in and have a circuit slot with an instructor in the morning, and then a quick trip to Headcorn to build the confidence. 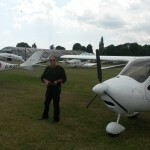 Tom is now ready to take the new aircraft on his planned trip to Norfolk in the next few weeks! 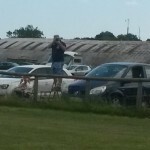 Let’s see more of you down the club next weekend. Make the most of the Summer! 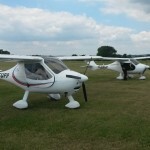 The Cloudbase Club’s Useful Links	For Sale – Flight Design CTSW! For Sale – Flight Design CTSW!